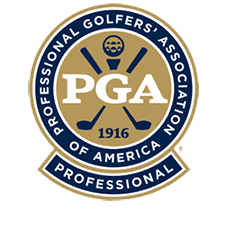 Improve 6 to 11 Strokes"
"The 3rd Best Golf School In America"
Out of the 133 Golf Schools and 26,000 PGA Professionals in America, we are recognized as the 3rd best! Why? Because “92% of Golfers improve 6 to 11 strokes during their 3 day program!” GMS is a proven learning system that will help you improve your golf swing so that you become more consistent on the golf course. When you attend a Golf Made Simple Golf School, you will receive 6+ hours of golf instruction each day. Each morning you will start instruction on the practice area. Each afternoon, you will have 6 holes of On-course Instruction with your Instructor, where he will help you carry your improvements onto the golf course. Additionally you will receive lunch in the clubhouse each day, enrollment in the Instructor for Life Program, and access to the GMS Player Page. 6 Hours of Instruction Each Day - Improve Your Golf Swing Each Day! There are many reasons why the “30 minute, once a week golf lesson” can not come close to helping your golf swing like a 3 Day GMS Program. First, the simple fact of having the ability to work with your Instructor over a longer period of time is essential to seeing golf swing improvements that stick. If you took a poll from Golfers that have taken a 30 minute lesson and asked what is the #1 disappointment pertaining to the golf lesson … the #1 answer would be “my improvements didn’t stick when I tried it without my Instructor”. With the process that GMS uses … you’ll see swift improvements, and through repetition with you Instructor near you, your improvements will stick. This extra time with your Instructor allows us to get deep into your golf swing so that you understand what causes your bad shots so that you can fix your golf swing within a couple of swings … as opposed to suffering through another 7 or 8 bad holes collecting double bogies and frustration. If we can give you some important advice: one thing that is absolutely essential to improving your golf swing, is the process of going from working with your Instructor on the practice area in the morning … to having the Instructor then take you onto the golf course for On-course Instruction each afternoon. This is how the PGA/LPGA Tour Players do it with their coaches … and it is the way that you should be doing it also. Not just 1 or 2 holes … it’s 6 holes of On-course Instruction. Anyone can play well for 1 or 2 holes … however, we want to see how well your golf swing holds up while playing multiple holes. Thus, we will have a better understanding of what needs to be worked on the next day. We’re not just helping you with improving your driving range swing … we’re helping you improve your golf course swing! Personalization is the key to successful golf instruction. This is not just any golf swing you’re trying to improve … this is your golf swing … so personalization is crtical. With GMS limiting each date to only four Golfers, it allows us to personalize our Instruction to each person. In addition, you may be surprised with how much one on one time you receive from your Instructor each day. Thus you’ll have personal time with your Instructor to really work on your swing. Unfortunately, one of the biggest misconceptions Golfers have is that absolute one on one Instruction is the best way to learn. Actually, it can be the worst experience for you because often times the Instructor will be guilty of “over teaching”. As most Golfers would agree – when we’re playing badly … we often have too many things we’re thinking about. This happens with “over teaching”. With GMS – we have a system in place that assures that you’ll have more personal Instruction with your Instructor than you expect … but not more than you need. Every Golfer needs a PLAN in order to see improvement with their golf swing and overall golf game. Improvement doesn’t happen just because you learned a few swing mechanics during a golf lesson and then went to the driving range to hit golf balls using those new swing mechanics. Improvement is made once you have a PLAN to implement those improvements, as well as an understanding of exactly how to practice so those results stick. Most Golfers fail to see improvements stick after taking a normal golf lesson. Why? Because there was no PLAN on how to implement those improvements besides just “hitting a lot of golf balls at the driving range”. Does a PGA or LPGA Tour Player spend three days working with their Instructor then go home and think they have got it and that they’ll never need help again? Of course not! After working with their Instructor for three days … they remain in contact with their Instructor through email and phone calls to make sure improvements stick. GMS believes you should have the same opportunities. Think of if this way: the Tour Players are fantastic Golfers and can probably figure out the issues in their golf swing easier than you can … yet, they still need help from their Instructor using email and phone calls. Wouldn’t you think you would need the same? We have taken our golf school insights and drills and put them on a Player Page for you! Your page lists all the Swing Drills you will use in your GMS On-site Program, how to do the drills, and why you should continue to do each drill. It also includes all the Putting Drills that you will be using to improve and to smooth out your putting stroke. This will also be a place for your notes from your Green Reading session, and, let me assure you, our Green Reading Program goes way above and beyond just squatting down to see the contours of the green; this is much more advanced than that! During your GMS Program, you’ll be on the golf course each afternoon for our On-course Instruction. However, after the On-course Instruction, you’re welcome to continue playing an additional holes if you’re still up to it. While the On-course Instruction is a definite each day … these additional holes are dependent upon daylight and course availability. However, I assure you, that even if you do not play additional holes – you already have 6+ hours of Instruction and our On-course Instruction each day. Which is usually already more than enough golf for most people! As the majority of Golfers are traveling to see us for 3 days, we have situated our golf program at resorts with hotels on property or very close to the golf course. We’ve also worked with the hotels to offer us special pricing that we’ve used to create a GMS Package that includes 3 nights of accommodations. Yet, if you would like to make your own arrangements … we certainly welcome you to do so. Thus, we offer the GMS Program to you without accommodations. Whichever you choose, I can assure you that GMS is going to be the best thing you’ve ever done for your golf game. One of the most important parts of learning is taking a break where you can let your mind relax and process all that you have learned. Each day, we’ll go to the clubhouse at the golf course, sit down and have lunch together. Hitting The Golf Ball Better Than Ever! Thus, it’s in our best interest that you’re hitting the golf ball better than ever. We want you hitting the golf ball so well … that your friends are impressed with how much better you’re swinging. Thus, we’re going to do everything we can to make this happen for you. This is why GMS has grown to having over 1,600 Golfers in 2017 travel to see us for our 3 day program. They have come to see us because they know GMS works … they have either seen the improvements in their own golf swings, the golf swings of their friends, colleagues or other Golfers they have met on the golf course that swear by GMS! I just want to tell you how much I loved the GMS course I completed on Sunday, with Mike over at the Hammock Beach Resort. It was incredible how much I learned and can’t wait until my day job is over each day to get out on the course and practice. Mike was patient, kind, knowledgeable and I will be back soon for a refresher! My friend, Bill D, bought the GMS course for me for my birthday as a surprise. Thank you again – I loved GMS’s way of teaching and will recommend it highly to others. I really enjoyed my three day golf school at Hammock Beach during July 11th – 13th. Mike is an excellent instructor. He has the knowledge of the golf swing &amp; the ability to communicate it to his students. The nine hole sessions in the afternoon are a good way to put the instruction to use &amp; also to learn how to plan your way around the course. I know I have things to work on, but I did see improvement after three days. The golf courses at Hammock Beach &amp; the Conservatory are really nice &amp; I enjoyed playing both of them. I look forward to attending another GMS next year!